I want to be able to copy the data from Column B into Column D Cell 1 based on today's date and have Column D Cell 1 update every day based on the day of the month it is. Data is pulled from Column B using the defined date of today, and posted into D:1, and each new day the column is automatically updated. This will look in column A from cell 2-32 for today's date and get the value from column B in the same row. Note that you might want to modify the spreadsheet settings calculation as it by default only calculates today on change. Not the answer you're looking for? 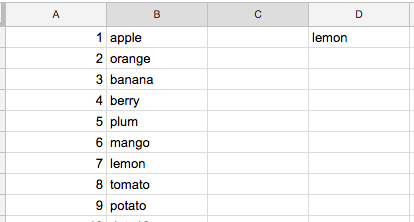 Browse other questions tagged google-sheets formulas google-sheets-query worksheet-function vlookup or ask your own question.